Committed to achieving superior results for our clients. 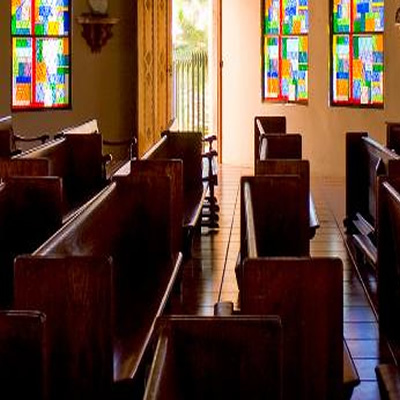 Safe Assure is a program that has been formed to help certify churches, synagogues, etc. as a safe place for minors to be ministered to by adults. Sexual predators are everywhere and many of them won’t register or simply don’t have to. Furthermore, statistics show that many offenders who have been incarcerated for violent or sexual crimes against children are released only to do it again. Because of the risk that these people pose, many schools and charities have implemented safety protocols to protect their children. Aren’t churches supposed to minister to sexual offenders? Of course. However, sexual offenders should be identified, so that their access to minors is limited. Most churches don’t mind having a sexual offender visit their church on a regular basis. However, the church needs to have strict protocols in place if they are willing to let a sexual offender volunteer for a position that involves contact with children, even if the contact is indirect. Does standard church insurance cover risks taken when accusations are made? Yes and no. Many church policies do cover these accusations, yet many do not. The policies that are in place usually have limits, such as $25,000.00 per claim. A lawsuit against a church will easily surpass that dollar amount. This leaves the church with considerable liability. Why use a law office? Couldn’t my church do this on its own? While you could do this on your own, it pays to have someone with legal experience review your legal liabilities. My office is uniquely sensitive to the challenges faced by churches. In addition, I provide an unchanging “benchmark” of safety standards, as opposed to churches that can only self-certify their own safety procedures. Does Safe Assure only protect minors? No, Safe Assure protects the whole church. While minors are protected against offenders, the policies that my office will recommend will also protect workers against false accusations. That brings safety to everyone. What is the risk of letting a sexual offender care for a minor? Quite simply, your church cannot afford even a hint of impropriety in this matter. Most churches could not survive the financial strains of a lawsuit, or even the financial strains of tithing families that will leave your church. In the modern age, no church is worth the safety of any parent’s child. If a parent perceives your church as unsafe, the parent is likely to leave your church, perhaps permanently. Isn’t there always going to be some risk of accusation? There will always be risks of accusation. However, good leadership involves reducing dangerous risks. For example, let’s suppose your church is at a set risk level before enforcing Safe Assure. By implementing our background checks, your risk decreases. A two-worker policy further decreases it. By making all volunteers wait 3 to 6 months before volunteering, your risk drops even more. The goal should be to reduce risks to an acceptable minimum. This protects children as well as volunteers, who do not want to be falsely accused of impropriety. What services will your law office provide to my church? My office will meet with your church’s Staff and Board to help you understand the process. We can then provide sample policies for you to implement. We will provide training, on at least two occasions, for your workers at the site of your church. We will provide background check authorization forms and perform the checks. Upon full compliance with the policies, we can certify you as compliant with our standards. This not only ensures safer child care but it may also save your church money on its insurance premium. Just ask us to forward the certification paperwork to your insurance company. What kind of continuing services are offered? Since churches have some level of turnover at all times, your list of certified volunteers will also change. We can provide additional training, additional background checks, and continued compliance paperwork. Or, if you would like, we can train and equip a member of your church with our training materials, so that you can offer future volunteer training on your own. What is the pricing for your services? Prices vary based on the size of your church and the percentage of volunteers. For more information, contact our law office at 614.856.9399 or email us at philipgerth@gerthlaw.com. If your question is not listed please contact us at 614.856.9399 or email us at philipgerth@gerthlaw.com. The Gerth Law Office is committed in providing our clients the kind of legal representation that they deserve. We are committed to our clients and we take pride in helping our clients in what ever legal situation they find themselves in. We treat our clients the way we ourselves would want to be treated. The information at The Gerth Law Office, LLC web site is intended for general informational purposes only and not as specific legal advice. Use of this site is not intended to and does not in any way establish an attorney-client relationship. Visitors to this site should seek professional legal counsel regarding their specific matters. Attorney Philip Gerth would be pleased to speak with interested parties, but he can only represent clients where he is licensed to practice, and where no other bar to representation exists. If the information provided by this website does not comply with the legal or ethical requirements of a particular user’s state or country, we may be unable to represent you. Although we are a general practice law firm, we may be considered a debt relief agency because we help people file for bankruptcy relief under the Bankruptcy Code. Thank you for visiting our website. Please contact us with any questions or comments.